A Dropbox for the Internet of Things. HR Strategy. Hiring Specialties or Growing Them? AI Coming back. What Will it look Like Now? I aim to take a closer look. The Center for Business Analytics in the Lindner College of Business at the University of Cincinnati is pleased to announce Analytics Summit 2014 on Friday, May 23, 2014. Analytics Summit 2014 is the premiere analytics event of the year offered by the Center for Business Analytics. It will feature keynote presentations by Eric Siegel, founder of Predictive Analytics World and author of Predictive Analytics: The Power to Predict Who Will Click, Buy, Lie, or Die, and by Jack Levis, Director of Process Management at UPS. Three day-long tracks will also be offered that span the three broad categories of analytics (Descriptive, Predictive and Prescriptive Analytics) as well as a fourth track on Analytics Applications in Social and Mobile Media sponsored by Business Technology Summit 2014. The tracks include analytics-expert speakers from Disney, Macy’s, Kroger, Elder Research, Fifth Third Bank, Boot Camp Digital and many more. In conjunction with Analytics Summit 2014, INFORMS will be offering their Certified Analytics Professional (CAP) exam at the University of Cincinnati on May 22. For more information on applying for certification, click here. In IEEE Org: Work by Google in trying to make autonomous vehicles better than ever. Gets back to the problem of 'autonomy' and how it can be delivered with increasingly better streams of data combined with intelligence. Once you have autonomy, how can you then combine it with human directed decisions?
" ... Google has posted an update on its self-driving car program, which IEEE Spectrum has been watching closely for the past several years. The cars have surpassed 700,000 autonomous miles (around 1.1 million kilometers), and they're learning how to safely navigate through the complex urban jungle of city streets. Soon enough, they'll be better at it than we are. Much better. Read more in our new Cars That Think blog about the sensors, software, and systems behind self-driving cars. .. "
Navy testing humanoid firefighters. Particularly interested in how these devices can be truly collaborative with humans, both other workers and decision makers. " ... That's the vision coming out of the U.S. Navy's Office of Naval Research, which will host a test of robotic firefighters this summer. ... SAFFiR humanoid robot ... The U.S. Navy is working with the SAFFiR humanoid robot to make it an onboard firefighter. ... Firefighting robots would take on high-risk tasks, such as going into an intensely hot and smoky environment, that a human sailor would normally have to do. .. "
The idea has been around for some time, and mostly publicly with the Apple Siri. A mobile assistant. Now more recently have found myself using them more freqently. All using natural language processing, sensor data and AI logic. See also Microsoft's Cortana, and the similarly named Cognea. " ... Cognea has an artificial intelligence platform to give a human-level brain to virtual agents, to create personal assistants, coaches, companions, and employees. ... "
Brought to my attending by a former colleague and correspondent. The startup Smartstones: " ... Stay connected and in step with loved ones, simply by touching your Smartstone. ... "
Join our mailing list and you will receive an "early adopter" perk. Up to 40% off your pre-order when we launch, just for signing up today. When we hit this magic number, we will notify you with details of our crowdfunding launch so you can get your orders in before anyone else (first 48hours). Your support will help us launch a transformative product and service, and I cannot express my gratitude for your consideration and early support. You can contact me directly at andreas@smartstones.co if you have any questions. Otherwise please enter your information below.
" ... The return on investment (ROI) of campaign spending has been a major challenge for marketers as we have tried to defend our advertising budget, and directly correlates the campaign to sales, but it has been difficult to prove for as long as I have been in marketing. With the onset of online advertising, marketers are taking comfort in the ROI tools available for promotions in cyberspace, but are they making the move to online without really understanding how traditional media fares? Budgets are being shifted to online because of a belief that it’s the best way to reach the customer, and it’s easier to track online advertising. But is the convenience really paying off? .... "
In Retailwire: Amazon plans to own the last mile. " .... Authenticating rumors in the marketplace, Amazon is indeed testing its own delivery network in the U.S., according to an extensive report last week in The Wall Street Journal. .... How important is it for Amazon to eventually establish its own wide scale delivery network? Is the over-reliance on major carriers a weakness in the e-commerce model for big online retailers? .... "
In Fastcompany: Taking notes by hand is better for memory. ' ... The Best Way To Remember Something? Take Notes By Hand. People who write notes by hand remember the content of meetings and lectures better than than those that use laptops, new research shows .... ". Causality might well be suspect, though. From ZoTero: Examples using parallel coordinates, a method we integrated into the toolbox of standard methods for similar data. " ... Data Visualization Experiments with a Cereal Dataset: Parallel Sets, Parallel Coordinates .... "
From Carnegie Mellon: " ... Two researchers at Carnegie Mellon University are exploring how touch devices, such as Apple's iPad, can be used in data analysis and visualization. Jeffrey Rzeszotarski, a Ph.D. student in the Human-Computer Interaction Institute and Aniket Kittur, an assistant professor at the Institute have developed Kinetica, a proof-of-concept app that converts tabular data such as the kind usually found in spreadsheets into a format that can be manipulated on a touchscreen. ... "
In Mashable: Augmented television. " ... A new venture in television created by a San Francisco-based startup combines web content with television programming in a way that makes information-rich viewing experiences nearly seamless. InAir presents television programming side-by-side with related web content. For example, a viewer could watch a show on NASA's Voyager spacecraft while simultaneously accessing information from NASA's website. The product's three-person team believes that this new dynamic could eliminate the need to multitask on other devices, such as a tablet or smartphone, to glean information about a TV show currently being viewed. ... "
I attended some of these announcements this past week. How much does this change the direction of mega IT companies? Not too much I think. In GigaOM: A somewhat critical view. With pointers to new things coming. But the need to move towards more mobile and cloud is clear. An interesting view of how blogging has changed. What we have gained and lost. I have blogged, sometimes in several places, for several companies, from nearly the beginning. It has led me to many new things, and has led to value construction for myself and people I work with. Have had several conversations recently about the Oculus virtual reality system. Now in pre order. A head mounted, but very visible form of wearable computing. So what is all the excitement versus Google Glass? Funding has increased? Truly a next generation? I like to see attempts at segmentation of population groups, especially with regard to their commercial habits. But also have considerable caution about the use of the data. Apparently millennials are frugal, based on their recession experiences. Plus more findings. I was just reminded of the IHMC. Who we worked with for several years experimenting with the capture of internal and customer knowledge. " ... Florida Institute for Human and Machine Cognition ... The Florida Institute for Human & Machine Cognition is a not-for-profit research institute headquartered in Pensacola, Florida with scientists and engineers investigating topics related to understanding cognition in both humans and machines ... "
One of my earliest analytics tasks was to look at the effect of alternative magazine article ads. So this was sad to see: " ... Sad Ending to the Ladies' Home Journal Era .... The magazine was once prestigious enough that Marilyn Monroe complained about not getting on the cover, writes former editor Myrna Blyth.... "
In Adage: " .... In the race to deliver TV over the Internet, Charlie Ergen's Dish Network Corp. is pulling ahead. And that may have implications for marketers and other media companies that have grown familiar with Mr. Ergen's penchant for disrupting established businesses. With a groundbreaking agreement this week with Walt Disney Co., the satellite-TV company is poised to be the first to offer an internet-based competitor to cable TV, a new kind of business that other major companies such as Intel and Apple Inc. have tried -- and so far failed -- to deliver. ... "
In Engadget: A mostly visual view of changes in Google search. A reminder of how the search giant has involved from Google? to a common verb. Also an indicator how how changes may drive it forward in newways. Many of us have grow up during these changes and remember what it used to be. A good review of R books and online resources, several of which I have taken a look at. As usual these days, you don't have to buy a book to get quality information. Microsoft completes $7.2B acquisition of Nokia.... As expected, sets up 'Microsoft Mobile' subsidiary based in Finland .... More. Are mobile payments finally ready to take off? In Bain, a survey. " ... We think that’s about to change, given an unprecedented rise in the momentum among consumers and investors—providing that the players can overcome the technical and behavioral hurdles that remain. Our recent survey of approximately 25,000 consumers in the US and major Western European markets found that many are already shopping on their mobiles, some are using them for payments and many more expect to do so over the next few years ... "
Often the most difficult things to do in a new language is manipulating data in a fairly straight forward manner. Then you can build upward from a set of simple steps. Here a good tutorial for the beginner using R in CWorld, With links to more. Fundamentals are usually just a set of useful tricks to build upon. This is a good start. Former P&G CIO and MS Exec Bob Herbold writes about how to deal with bad news. In particular to be sure it is reported on and dealt with. " ... The recent sequence of massive vehicle recalls by General Motors, started by the decade-old ignition switch flaw that was buried for more than a decade within the thick GM bureaucracy even though it is linked to a reported 13 death, highlights a key challenge for leaders. Specifically, how do you create a culture that causes bad news to quickly get reported and acted upon. ... ". See more about his books and blog posts in this blog. Excellent thoughts, concisely presented. In CIO: A good overview on the topic, often done haphazardly. " ... It is hardly surprising—given the overriding emphasis on creating new apps, supporting existing ones, and preventing future app problems—that nearly nine in 10 IT organizations complain that app prioritization is a challenge. Compounding this problem is the fact that many existing ASM systems are reactive and focus on fixing current problems, such as solving app incidents on a case-by-case basis, as opposed to being proactive and using an industrialized and consistent app solution.... "
Have been involved in selling on Amazon for some time .... So understand the implications .... Automates a number of things sellers often do manually, considerable value here to examine. In Mashable: A Seller App.
" ... Amazon Seller is meant to make it easier for merchants to sell their products, the company said in a forum announcing the app. Vendors can use the app to track prices, create sale listings and interact with customers and Amazon support. Sellers can also track sales ranks, customer reviews and search for new items to sell. The app also helps merchants estimate the profitability of each item sold by factoring in fees and other costs to give sellers an idea of how much they stand to make for each item they sell. Sellers can take advantage of this feature by scanning an item's barcode or manually searching within the app. ... "
Attended a set of presentations and announcements on the Open Power Foundation yesterday. Sponsored by IBM and included a number of other corporate participants. Of particular interest, how open Linux and hardware can provide faster access to more data and processing for Big Data analytics applications. Promoting open innovation. Power for example, has been used to implement IBM Watson. More comments made on Linkedin. " ... OpenPOWER Foundation was founded in 2013 as an open technical membership organization that will enable data centers to rethink their approach to technology. Member companies may use POWER for custom open servers and components for Linux based cloud data centers as well as optimizing Linux software on POWER. ... " Announcements and details at the link. In Innovation Excellence: Unfortunately it does. Fairly frequently too. The number kicked around for complete innovation success to profitability is often 10%. So we have lots of experience with the failure part. This article does a good job of covering the breadth of reasons involved. Via Bain and Company, from the HBR: Meetings, thinking time, useful connections, human resources. In general we make poor use of them and many new things are asking for their attention. Can technology help rather than make the situation worse? Fascinating piece on ClickZ: Truth and vocabulary and the meaning for understanding the consumer. A lot of truth is embedded here about measurement and the resulting value. Statistics anyone? " .... Advertising and marketing are not exact sciences. Humans are not rational. Analysts are not accountants; we are statisticians. We deal in probabilities and likelihoods. We create models and "All models are wrong, but some are useful." ... " Have used many similar words in my own consulting and teaching. But we do what we can to make sense of it all. Wal-Mart's To Go concept. Opens a new kind of consumer behavior to them. And new data. Consider the implications, and the analytics. We had thought of using time serial maps for history, now I see that Google maps plans to do something similar. Can we ultimately do this generally for the earth to catch subtle trends we had not thought of before. How also can this be used to capture and analyze public, unstructured time domain information of a new type?
" .. This holiday season will likely bring another rise in cost-per-click prices. However, marketers shouldn't forget their post-click onsite experience, since they've invested hoards of time and money into their bidding strategy. Make the money spent on PLAs [ Product Listing Ads ] and other paid-search experiences create a return by using data to create a relevant and positive experience for customers. Then it really will be a happy holiday season for everyone. ... "
In Retailwire: Who owns the customer experience in retail? " ... Should the emerging CXO role — chief customer experiencer — own the customer experience in retail? If so, I think they'll have to dethrone the CMO. ... "
Daria Gaioshko of the Odessa, Ukraine company Augmented Pixels, sends along this new example of a promotional App for user engagement at a cinema. I am now testing for alternative applications.
" ... Augmented Pixels releases MaxiKoltuk, the Augmented Reality game for promotional campaigns and user engagement at the cinemas. MaxiKoltuk became as a part of an interactive marketing campaign Empati Reklam agency created for their client İşbank (Turkey). The game aims to promote MaxiPara Sinema Kart, a special edition of Visa prepaid cards at the Cinemaximum theatres. More about the cinema use case. MaxiKoltuk game supports iPad, iPhone/iPod Touch as well as Android devices and is available on the Apple App Store and Google Play at no charge. More information is available at http://augmentedpixels.com/maxikoltuk-augmented-reality-game-for-promo-campaigns-at-cinemas// ... " Some excellent detail on its approach. Give them your feedback. Have now followed a number of their game promotion systems. Previously in this blog: More from Augmented Pixels. Interesting example in Technology Review. We used related approaches to detect patterns of innovative communications. " ... Law enforcement agencies are turning to social network theory to better understand the behaviors and habits of criminal gangs ... The study of social networks is providing dramatic insights into the nature of our society and how we are connected to one another. So it’s no surprise that law enforcement agencies want to get in on the act. ... "
In Technology Review: Simple idea, easy to play with. " ... With the advent of the Internet of things, potentially billions of devices will report data about themselves, making it possible to create new applications in areas as diverse as factory optimization, car maintenance, or simply keeping track of your stuff online. But doing this today requires at least some degree of programming knowledge. Now Bug Labs, a New York City company, is trying to make it as easy to create an Internet of things application as it is to put a file into Dropbox. ... "
Scheduling complex sports events, with many restrictions and preferences, is a known difficult problem to automate. New work at Johns Hopkins addresses the problem. " ... A team of Johns Hopkins University researchers has developed a system that uses thousands of lines of computer code to satisfy all of a league's scheduling rules, and as many of the teams' requests and preferences as possible. .... The system, developed by associate research scientist Anton Dahbura and professor Donniell Fishkind, allows 10,000 schedule limitations and even more factors to be fed into a supercomputer, which produces a workable schedule. The methodology employs combinatorial optimization, which is the concept that there should be at least one schedule that optimally satisfies every rule and team request, via a combination of integers. .... "
Looked at in Machine Learning Mastery. " ... What is the difference between a Data Analyst and a Data Scientist and what type of work do they do all day? These questions and questions like them are answered in the new free ebook The Data Analytics Handbook: Data Analysts and Data Scientists. The ebook was created by Brian Liou, Tristan Tao and Elizabeth Lin. Brian and Tristan are Computer Science + Statistics grads and run the blog statsguys. Although they have jobs, they have taken the initiative to interview data analysts and data scientists in industry and ask questions around their background, how they were hired and daily routine. .... "
In DW: Reminds me of similar methods, in completely different domains, like packaging design, which we experimented with for years. " .. .Soft wear: computer simulated design is tailoring the future fashion industry .... Textile simulation may be in its infancy, but it can make complex clothing, including wrinkles, on real-time digital models. And the software's got larger implications beyond mere fashion. ... " Includes links to videos. Just brought to my attention. Excellent paper. Different goals and different looks for information visualization and statistical graphics. By Andrew Gelman and Antony Unwin. From a local company many of us have worked with.
" ... Google is hoping to make its Internet-connected eyewear more stylish as part of a partnership with the parent company of Mason-based Lenscrafters stores. The alliance with Italian eyewear company Luxottica Group represents Google’s latest attempt to make wearable technology look less geeky as it tries to develop new ways to ensure people can stay connected to the Internet wherever they go. Last week, Google disclosed that fashion accessory maker Fossil Group is working on an Internet-connected wristwatch that runs Google’s Android software for mobile devices. ... "
What are the implications for improving AI? In an internet of things and people ... with things getting more intelligent and being able to take the initiative more often, what will the rules of interaction be? Examined this once before, in the 90s, and it is worth looking at again. I believe the radical changes suggested are still many years away. It is useful to think about how they need to be architected to maximize our value and safety. How long can we depend on regulatory and legal protection? Patrick Tucker examines the issue. Pointing to " ... computer scientist and entrepreneur Steven Omohundro says that “anti-social” artificial intelligence in the future is not only possible, but probable, unless we start designing AI systems very differently today. Omohundro’s most recent recent paper, published in the Journal of Experimental & Theoretical Artificial Intelligence, lays out the case. ... " . A simplistic initial look, but a useful starting point to consider.
" ... Military and economic pressures are driving the rapid development of autonomous systems. We show that these systems are likely to behave in anti-social and harmful ways unless they are very carefully designed. Designers will be motivated to create systems that act approximately rationally and rational systems exhibit universal drives towards self-protection, resource acquisition, replication and efﬁciency. The current computing infrastructure would be vulnerable to unconstrained systems with these drives. We describe the use of formal methods to create provably safe but limited autonomous systems. We then discuss harmful systems and how to stop them. We conclude with a description of the ‘Safe-AI Scaffolding Strategy’ for creating powerful safe systems with a high conﬁdence of safety at each stage of development. ... "
In CWorld: Of interest, in particular standards are key to making this approach work. Lack of interoperability, in particular in home automation, are key problems. On the commercial side see my posts on background and status in the Industrial Internet. An internet of things means we can have sensors in more locations. The data captured can then be utilized to improve process. News – 4% ... "
Yes, there are useful numbers in this graphic. The topic is very interesting. And has a pointer to the origin of the sources. But I count only 8 readily usable numbers from the several page document. Its's bloat, and I cannot easily manipulate the numbers. Give me more information density.
" ... While the bigger retail technology buzz last year went to data tracking devices, augmented reality and drones, the top retail innovation in InformationWeek's Elite 100 went to Kroger Co.'s QueVision system that ensures customers never have more than one person in line ahead of them. In fact, the system landed third on the list of the top business technology innovators in the U.S. across industries. Now in more than 2,400 stores, QueVision has reduced checkout times on average from four minutes to less than 30 seconds. ... "
A good data visualization of information about US telecommuting, with a strong ability to interact with the data. In the Tableau Public site. Much better than an infographic in display and adaptability for further study. Answering the question: " ... Is Telecommuting the Wave of the Future? ... Working from home may be the way of the future, as shown by Peter Kim in this viz published by Drew Hendricks of Forbes. Use the drop down filter to investigate different characteristics of the US population. ... "
It is obvious. Shoppers want an exchange of value. The specific statistics are of interest. Grocery shoppers want more from mobile apps, survey finds ... About two-thirds of grocery shoppers who own smartphones have used mobile applications while shopping, but they want a more seamless integration of features, according to a survey from Catalina and InsightsNow. Shoppers want digital and real-time coupons for items they actually buy, reminders about their shopping lists and a way to track spending, the survey found. The survey also found that shoppers are less interested in social media integration, copies of their receipts and generic geolocation notifications ... "
In the press recently. Users apparently giving up their right to sue via user agreements. Unclear how binding this is legally, and the broader implications, but the I would be surprised if the bad PR does not cause General Mills to back off. In the CACM: Not a new idea, but more value as we leverage analytics against bigger data. Even for our own N=1.
" ... Consider a new kind of cloud-based app that would create a picture of your health over time by continuously, securely, and privately analyzing the digital traces you generate as you work, shop, sleep, eat, exercise, and communicate. While there are personal devices and Internet services specifically designed for self-tracking (Fitbit, Patients like me, http://quantifiedself.com, and so forth), digital traces include a much richer corpus of data that we generate every day, just by virtue of our normal activities. And while the use of electronic health records is increasing, today's systems capture data reported by clinicians, not patients; and data about clinical treatment, not day-to-day activities. ... "
Edward Burghard comments on the A.G. Lafley speech to the Association of National Advertisers 10-15-2000. Had not seen this, quite good. A Mission Critical Lesson From P&G. On What The Economic Development Profession Can Learn From P&G. In McKinsey: Good overview of the challenge. The emergence of a resource revolution to feed the technological changes created by innovation. Lots of needs, and new allocations will be required. " ... The resource revolution represents the biggest business opportunity in a century. However, success requires new approaches to management. Companies that try to stick to the old “2 percent solution” (just improve performance by 2 percent annually and you will be fine) are going to become obsolete quickly. Businesses that can deliver dramatic resource-productivity improvements at scale will become the great companies of the 21st century ... "
Recent conversations have brought this to mind. People resource definitions in particular have become specialized and necessary. Companies are ready to pay, but also need to fit them into still tight budgets. The knowledge required to make projects happen also requires allocation of unexpected internal knowledge, and most companies do not have that knowledge easily accessible. And some of that knowledge is being lost day to day. In FastCompany: As a long time user of Evernote, this was interesting. Pointing towards the Moleskin physical notebook. So not paperless. Had been unaware of the former version of this. " ... The two companies have partnered up to create a special notebook for Evernote users geared toward enterprise customers. .... The primary difference between the Evernote Business Notebook and the Evernote Smart Notebook introduced two years ago is that the enterprise version allows users to selectively share their notes. ... "
" ... When something seems too good to be true, it usually is. And management techniques, practices, and strategies are no different. When you read a business book or attend a presentation on a particular management practice, it is a good habit to explicitly ask, “What might it not be good for?” When might it not work; what could be its drawbacks? If the presenter’s answer is “there are none,” a healthy dose of skepticism is warranted. ... "
Received a note from Harvard Innovation Lab. Regarding Experfy, which was new to me. Interesting, taking a closer look. Good short piece on the increasingly important topic, by Radhika Subramanian. The article also points to a free eBook on the topic. Have not looked at that yet. Its also important to understand two conundrums on this. One is that text is not the only unstructured data. And second, that text has structure, notable from the increasing amount of natural language processing being used. Language contains structure. What are the limitations of analytic methods against increasingly massive amounts of data? A Linkedin Discussion of interest. In CWorld. Self serving yes, but an alternate strategy for lack of specific IT skills. Instead of hiring college trained people, probably younger people. Hire older skilled people and train them intensely in the specialty. Cybersecurity is a good technical example, but others work as well. Depends upon the person I think, a matter of trainable personality. Yet managers in IT are always most proud of people they have 'made' into a exceptionally valued employee. Older experienced folks are more typically seen as 'found'. In Time: With video. An old idea, but here apparently a commercial available system. I always ask, how are these different from a remote movable camera? How much autonomy is involved? A number of relevant sensors are included, like facial recognition and thermal imaging. Detection versus reaction. The Knightscope company. In CWorld: Related to other work recently posted on. Had not heard the term 'ambient intelligence' used before, but it fits. An interesting step by Microsoft. Again, its about sensors, data and delivering intelligent method. What 'intelligent' means is still evolving.
" ... Microsoft is targeting the growing volume of data being generated by both machines and humans: CEO Satya Nadella on Tuesday showed off tools that could help organizations better understand -- and profit from -- this trove of information. One new hosted service, called the Azure Intelligent Systems Service (ISS), promises to ease the process of managing machine data from sensors and devices connected in the so-called Internet of Things. ISS is now available as a limited public preview. ... "
Out of Research at Purdue: Interative contextual learning and reasoning is a powerful concept that will radically change how we use computing. It will bring sensors to many new environments. And analytics to the data gathered.
" ... Researchers are working to enable smartphones and other mobile devices to understand and immediately identify objects in a camera's field of view, overlaying lines of text that describe items in the environment. "It analyzes the scene and puts tags on everything," said Eugenio Culurciello, an associate professor in Purdue University's Weldon School of Biomedical Engineering and the Department of Psychological Sciences. The innovation could find applications in "augmented reality" technologies like Google Glass, facial recognition systems and robotic cars that drive themselves. ... "
In Ars Technica: The idea of a 'data culture' is something that Microsoft is promoting now ... " ... Microsoft CEO Satya Nadella was in San Francisco today to talk about data and Microsoft's data platform. Nadella repeatedly spoke of Microsoft's "data culture"—using data and analytics to enable employees to get the information they need to understand their work, answer questions, and make decisions. ... "
This sounds a lot like the approach we emphasized as a key element of what we called the 'Business Sphere'. ... Getting the right data and analytics to the right people at the right time. A means of making decisions in a focused and correct manner. Providing efficiency and value. Based on data. I agree, this should be fundamental. Microsoft, call me and we can discuss this. We suggested this, but it was never widely utilized. In Biggerplate. A good case study of the idea. The question that always came up: Does the additional complexity add knowledge to the result? Or is it just the equivalent of a outline/checklist? We suggested that the result could be interlinked among current knowledge, knowledge potentially lost, and knowledge that needed to be replaced. But that would require an accurate ontology of the knowledge to begin with. The Acquisition is Yet Another Indicator of the Value Corporations and Investors See in Social Data ... " Data has value that is driven by analytical methods. See Gnip's site. " ... The World’s Largest and Most Trusted Provider of Social Data ... ". Now being acquired by Twitter. More on P&G's Singapore innovation center. Including lots of images and descriptions of what goes on there. Nicely done piece from P&G itself. " ... Get a First Look at Our New Innovation Center in Singapore ... New high-tech center underscores our commitment to deliver superior value ... " . This continues an innovation center building process that began in 2001. 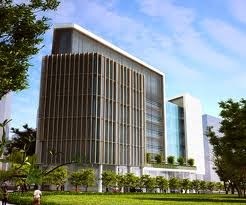 The largestprivate research facility in Singapore. See the Procter Innovation link for more. In the WaPo: The Loom and Innovation. Anyone who has followed the history of computing knows the connection between the mechanical loom and computing in general. This article takes the connection further. " ... Will robots steal our jobs? The humble loom suggests not. ... "
In Retailing Today. On how Kroger is digitizing retail. Retail is the ideal industry to make this happen. It operates an internet of things that closely integrate with an internet of increasingly connected people. Analytics will make this more efficient and engaging.
" ... Kroger has unveiled a bold initiative to digitize every aspect of its physical store in an effort to measure a breadth of operational metrics to enhance the shopper experience. The company announced a partnership with eInfochips, Wincor Nixdorf and several other partners on a new enterprise IT architecture called Retail Site Intelligence. This architecture for stores of the 21st century uses ZigBee wireless mesh networks to integrate long battery life sensors, hand held devices, point-of-sale devices and video management software into a next generation platform for retail applications such as in stock optimization, loss prevention, store automation and video analytics which can be integrated with Kroger’s industry leading loyalty program data. ... "
See also his blog: http://markelacy.com for a further discount, and more about his work. Looks to be an interesting book. A fairly detailed analysis of a patent application by Google that embeds cameras in the human eye. I recall seeing a number of proposals like this a decade plus ago. The idea itself is almost as old as the contact lens. " ... Google has patented a smart contact lens that could see its Glass wearable computer fit inside a smart lens ... The firm has already developed a contact lens for diabetics analyses their tears, warning them if their glucose levels are low. ... Now it has revealed plans for a lens with a camera built in - opening the possibility of its Glass system being shrunk down significantly, offering features such as 'superzoom' to wearers and even helping the blind see. ... "
In Adage: How Mobile-Tech Players Are Crumbling the Cookie. Microsoft, Google, Apple Look to Track Consumers on Phones, Devices .... "
Simple idea. Useful statistics too. Quite appropriate: " ... Brands including General Mills and Clorox are targeting Hispanic consumers through the bilingual Veo mobile shopping app. The app engages consumers by using their native language to offer free product samples, recipes, promotions and giveaways. Experian data indicated that Hispanic consumers are twice as likely to accept advertisements on their smartphones as non-Hispanics and 58% are more likely to purchase those advertised items. The average Hispanic consumer also spends 18.2 minutes per month visiting shopping sites on their phones .... "
" ... The claim that electroencephalograms (EEG) and functional MRIs provide access into the "truth" — that is, the real motivation behind a consumer's behavior — is a tantalizing prospect. It could also be unsubstantiated and misleading if generalized. Inexpensive brain scanning technology has unleashed a flood of new data, but few marketers are equipped with the tools and expertise to analyze it. When there's hype, it often pays to be skeptical. However, it would be shortsighted to dismiss neuromarketing's potential power. Brain scans can be a source of useful information, provided that you know how to analyze and apply the data. ... "
Apps and their regulation: Agree, this is a big deal. " ... The potential of medical apps to improve care and lower costs is enormous. But if developers don’t know how these apps will be regulated, they’re going to spend their time on other pursuits rather than gamble on what regulators might do in the future. ... "
Short piece on a number of examples how what we called AI is coming back. Multiple and extended projects in the 90's led to real results, but not to extended uses in the enterprise decision process. Learning that came from AI were embedded in many places, and ended up leading to many computing expectations we have today. Its still there, but well hidden. Now is AI ready to come back to the mainstream? I am seeing it in my own interactions with a number of companies. The article mentions may well known examples. It is still not easy to implement directly, which was our expectation at the time. This blog continues to follow this topic. Follow along. Always interested in collaborative examination of this topic. Mark J Perry on the ultimate market manipulation, the diamond cartel. Perception, however manipulated, is reality. An interesting diagrammatic look at the lifecycle of metadata. Everything has a lifecycle, but the question is always: To what degree do we have to pay close attention to it? The diagram is quite complex. Its easy to say always, but attention always has a cost. So is this really a portfolio of attention, and do we manage it that way? More to follow as an exploration continues under the lifecycle tag.
" ... Accenture points out that gamification isn't only for Millennials and techies; it's now in the mainstream. Building an effective strategy requires a focus on some combination of seven key components: status, milestones, competition, rankings, social connectedness, immersion reality and personalization. According to Accenture, many older adults are also becoming digital device-savvy. "And they are often just as keen as the young to compete with their peers and publicize their accomplishments—the essential principles of gamification," the authors note ... ". I still think it is difficult to implement, based on our own experience. Dependent on corporate culture and still seen suspiciously by much of management. Especially for internal applications. Mainstream? Not yet, and we can't expect to grow out of it with the Millennials. But worth understanding. In Supermarket News: Shelf level eye contact can make a big difference. It was one of the first things we attempted to accurately quantify when designing shelf arrangement. And this is easier to study now than ever before. See some of the work on shelf virtualization. But a generalized influence measure is still illusive. Knowledge@Wharton: In an information age. " .... While the digital age has changed the rules of marketing, a panel of experts at the recent Wharton Marketing Conference suggests that the most effective outreach, even for international brands, centers on personal connections rather than random tweets or texts. ... "
Long before Big Data there was KDNuggets. Well worth the follow. Which is a " ... Data Mining Community Top Resource for Analytics, Data Mining, and Data Science Software, Companies, Data, Jobs, Education, News, and more ... " Run by my new colleague: Gregory Piatetsky-Shapiro, Ph.D. is the President of KDnuggets, which provides analytics and data mining consulting. Gregory is a founder of KDD (Knowledge Discovery and Data mining conferences) and is one of the leading experts in the field. CNN Tech on the emergence of embed-able technology. With some good current examples. Probably not as adaptable as wearable, but more convenient. So when do we become cyborgs? In GigaOM: Continuing to look for intelligent hubs, with sensors that are adaptive to multiple conditions. Here the ALYT: " ... If the current generation of connected home hubs aren’t enough for you, then check out the Indiegogo campaign for ALYT (pronounced alight), which offers a slew of radios including Bluetooth and cellular for $149 or $179 depending on when you order. The idea is that ALYT acts as a redundant security system as well as a home automation center when combined with a package of sensors and video camera. ... "
What can we learn from neurogaming? The ultimate user interface. Wearability taken to its limit. Trends, companies and people to be following. Just a few months ago I would not have directly connected Business Intelligence (BI) with what is usually called Data Discovery. The later is usually connected to methods that find patterns in data using advanced analytical methods. Also known more technically as Data Mining, finding the nuggets in vast streams of data being generated by companies today to leverage for value. It is true that 'discovery' is a process that should be first done visually by people who are familiar with the data itself, and its context. So in that sense Business Intelligence is Discovery as well and information delivery. It is just not that in BI's usual implementation. I found it interesting to see this relatively short O'Reilly piece on the basics of the iBeacon Apple location proximity sensor for retail. Not very technical, but enough to understand the basics. In CWorld: And much more detail at the link. " .... Wearable computers "took a huge step forward" in the last year and shipments of smartwatches and related devices will grow by 78% a year until 2018, IDC said Thursday. The number of such devices should top 19 million by the end of 2014, triple the number from last year, IDC said. In 2018, that number should swell to almost 112 million. ... "
In Cisco Blog: Very good piece. There is always a price, and perhaps the largest is the assumption that you will assume that you will always retain that position, exclusive or otherwise. Especially in today's rapidly changing world. In the 90s in Europe we worked with a large retailer for a test of this idea. Re purposing security cameras to understand in store customer movement. Will the addition of better analytics make this valuable? In GigaOM. In RIS News: Provides considerable new opportunities for analytic understanding of the shopper experience under varying contexts. Expect to see much more of this.
" ... One of the largest retailers, Kroger, has introduced its new Retail Site Intelligence (RSI) enterprise IT architecture. The architecture helps drive the store of the future by using ZigBee wireless mesh networks to integrate video analytics, wireless devices, POS devices, handheld sensors, scales, IP cameras, and Vigil360 video management software into a next-gen platform for retail applications, including loss prevention, store automation and analytics. ... "
In the Latest Bayesia Newsletter. For optimization of Loyalty. An approach I had not seen in this area before. " ... This tutorial illustrates an innovative market research workflow for deriving marketing and product planning priorities from auto buyer surveys. In this study, we utilize the Strategic Vision New Vehicle Experience Survey, which includes, among many other items, customers’ satisfaction ratings with regard to over 100 individual product attributes ... "
" .... Introducing knowledge-based programming...Designed for the new generation of programmers, the Wolfram Language has a vast depth of built-in algorithms and knowledge, all automatically accessible through its elegant unified symbolic language. Scalable for programs from tiny to huge, with immediate deployment locally and in the cloud, the Wolfram Language builds on clear principles—and 25+ years of development—to create what promises to be the world's most productive programming language. ... "
Particularly interesting because of Wolfram's development of AI capabilities in recent years, like Wolfram Alpha. See the query examples, which are natural language based. An interview with Stephen Wolfram of Mathematica on reinventing data science for wearables. Not an area I had heard them talk about before.
" ... Little is said about using VR in the workspace. Letting VR replace the desktop monitor would bring physical benefits, such as freeing up desk space and giving you a wider spatial and more customizable area in which to arrange your applications--and you wouldn't need several monitors to do it. An unintended consequence is that it would let you work distraction free. Cubicle walls would no longer be necessary because you'd be "walled-in" by a VR headset. A handful of companies have tried to revolutionize our work spaces in ways that are eye-catching but not geared to everyday office work. There's Fujitsu Laboratories' projection and gesture-based system, though this would be difficult to set up for various users. .. "
" ... Counterfeiting of branded goods is growing globally, and losses from counterfeiting cost retailers and manufacturers nearly $1 trillion each year and more than 75,000 jobs in the U.S., according to a study from the Food Marketing Institute and Grocery Manufacturers Association. “This study pinpoints the opportunities that retailers and manufacturers have to reduce the chance for counterfeit products from reaching shelves and finding their way into consumers’ homes,” said Mark Baum, FMI‘s senior vice president of industry relations and chief collaboration officer. “We must be vigilant about safeguarding our supply chain from counterfeiters and step up our efforts to stop organized retail theft.” ... "
Does changing how you make things change the way you live? The answer is “yes,” according to Made in the Future, an experimental project I collaborated on with some colleagues at IDEO Boston. The Made in the Future website recently launched and it explores how today’s innovations in maker technology might affect designers and society at large five to ten years from now. To get inspired about what making something by hand means to people, we constructed toy airplanes with kids, cooked alongside chefs, built motorbikes with weekend gear heads, and hung out with gifted researchers at the MIT Media Lab. We looked at cutting-edge innovations in designing, manufacturing and distributing, and asked: where’s it all heading next? It was all incredibly inspiring and we learned a lot. ... "
A curious example that I was unaware of. I had heard of BuildAR through their partnering with AR company Metaio. Providing AR within standard Web browsers would greatly promote their use.
" ... iPhone and iPad users that have tried this app report feeling frustrated that Android users are already able to access the web of the future, while they cannot. "Many people are surprised to find out the expensive hardware inside their iOS device is easily capable of running the latest open web standards, yet commercial decisions made by Apple have left their high end iDevices looking old and outdated," said Rob Manson, CEO of buildAR.com, the developers of this app. This app shows you can now run Augmented Reality within standard web browsers. In this case it presents the projects from the weekly Kickstarter "Projects We Love" newsletter as images floating in the real world around you. You can try this demo for yourself at https://kickstartAR.buildAR.com. Open this on a modern Android device using the latest version of Chrome, Firefox or Opera and you'll see a rich combination of AR and the web called the Augmented Web. ... "
" ... These days, we take the ability to track eye-movements and then use them to gain insight into cognitive processes for granted – or at least, most of the people I meet on a daily basis do! But of course, it wasn't always like this. Yes, the technology advances mean that accessibility to the methodologies has become easier and cheaper and the fine-tuned, high frequency recordings we can obtain today provide access to a range of measures that were unavailable in the early days of the science, but in fact the basic principles of tracking eye-movements and visualising those results hasn't changed that much over my lifetime. .... "
Just received. A quick look indicated that this is a useful, only mildly technical look at what is being called Data Science. A guide and handbook for anyone interested into the topic. Will review further and post that here soon. Their decription: " ... Harvard Business Review calls it the sexiest tech job of the 21st century. Data scientists are in demand, and this unique book shows you exactly what employers want and the skill set that separates the quality data scientist from other talented IT professionals. Data science involves extracting, creating, and processing data to turn it into business value. This guide discusses the essential skills, such as statistics and visualization techniques, and covers everything from analytical recipes and data science tricks to common job interview questions, sample resumes, and source code. The applications are endless and varied: automatically detecting spam and plagiarism, optimizing bid prices in keyword advertising, identifying new molecules to fight cancer, assessing the risk of meteorite impact. Complete with case studies, this book is a must, whether you're looking to become a data scientist or to hire one. ... "
"Consumer packaged goods companies are responding to retailers' needs for a wide range of goods by using flexible packaging machines that include sensing and communication technology. "Retailers are requiring suppliers of consumer packaged goods to provide customized product sizes, from single servings to multipacks to display-ready and sustainably packaged goods. To meet these demands, CPG manufacturers can no longer apply a one-size-fits-all approach to case sizes and enclosures ... "
What apple is doing with sensors. An overview of techniques, companies and people involved in sensor systems that could show up in Apple products. The charts sometimes seem like caricatures, interesting, but I would not bet on them. They do perhaps at most demonstrate that countries and cultures are different, sometimes considerably. Good to remember. They do remind me of a lengthy and detailed Japanese culture course I took. Then in my first serious interaction with Japanese employees, they acted more like American youth culture. My course had apparently been based on studies of the fathers and mothers of these people. It's a moving target, consider that too. In GigaOM: A better market than with consumers? " ... You might not see many consumers wearing Google Glass just yet but I have a hunch you’ll start seeing people in businesses with the wearable display on their heads. Google launched a new Glass at Work program late on Monday night to help make that happen. The company noted some recent examples of how businesses are using Glass with custom applications and it aims to help expand those use cases with the new program. ... "
Developer Application and mailing list. Examples of applications. Also CWorld piece on Pushing Glass into the Enterprise. And more from TechRepublic. In McKinsey: How do you make leaders aware of the need to change themselves in new contexts? Not easily done. Tolstoy’s dictum is a useful starting point for any executive engaged in organizational change. After years of collaborating in efforts to advance the practice of leadership and cultural transformation, we’ve become convinced that organizational change is inseparable from individual change. Simply put, change efforts often falter because individuals overlook the need to make fundamental changes in themselves ... "
" ... ChoreMonster, the platform that wants to encourage your kids to do their household tasks by rewarding them for achieving goals, has today released a major update for its Web and iOS apps that brings new features and makes the platform completely free for the first time. In brief, it allows children to earn points by completing chores to work towards goals set by parents, like an hour of gaming or TV time, or something larger like a family holiday. ... "
An interesting example of how devices can be redesigned in unexpected ways. Here a microscope made out of paper. An example of how remote 3D manufacture might require this kind of innovative design. In Supermarket News: Simple idea. For loyalty purchases only. Searchable. I recall a number of test shoppers asking for this capability. At ShopRite. Last week attended my first Spreecast for an IBM Big Data Roundtable. You can see a replay of the entire event. An overview of impressions by practitioners, sellers and observers of the evolution of the technology. Not a introduction to the technology, but useful for executive examples of how it can be used, especially in health care. If you have questions, I can connect you to the people who put it on. In CWorld: It is clearly a culture. It is learned in school now, and at home, and utilizes multiple strata of communications and analysis and alerting capabilities. It blurs the state of business versus personal activity. Increasingly it uses assistant based technologies. It is anywhere and anytime. How do we cope with any system that gives the impression that we gain advantage by incrementally paying just a bit more attention? In AdAge: Came up in a recent conversation. How can Facebook drive advertising? And in particular, how do they appeal to the small and medium sized business? Also comparing Facebook to Twitter advertising. For some proposed research I had been asked to look at metadata lifecycle models. Here is an interesting high level model for metadata lifecycle management. Similar to some methods we used in enterprise. See metadata tag below for previous coverage here. Any suggestions as to related approaches? More to follow in this space. Zavers is a fast and easy way to offer the right coupons to the right shoppers, and track redemption in real time. Shoppers can find manufacturer discounts on their favorite retailer websites or across the web, and add the digital coupons to their online accounts. Savings are automatically deducted at checkout when shoppers swipe their rewards card or type in their phone numbers — no scanning or sorting necessary. With Zavers, retailers can reward loyal customers with relevant coupons, extend incentive programs, and speed up settlements. For manufacturers, Zavers provides the ability to manage and track the effectiveness of coupon distributions, giving marketers access to realtime redemption data so they can tailor and optimize their campaigns ... "
What appears to a limited enrollment Beta, register to get on the list. In Mashable: Hardly traditional. We sent technical candidates 'to the board', to do things live, and that created dynamics. But also difficult to measure. And rarely used competitive dynamics, though all would agree that it would be best to bring in people for a week and watch how they operated. Thus the potential for interns. But have them compete in dynamic games? Like many gamified tasks, it sounds appealing, but hard to constructively deliver. Have always been impressed by Amazon's innovation work. Now the new Amazon Dash Wand takes the effort further into physical retail. How is it different from an App on a smartphone? See a picture and demo at the link. Seeking more testing information. In Gizmodo: " ... The handheld Dash device, about the size of a Nintendo Wii remote, packs a barcode scanner and a microphone, allowing you to scan or say what you're running low on without having to leave your kitchen. Necessities are automatically added to your Amazon or AmazonFresh account, so long as it's an item the wand recognizes and Amazon offers. Sounds easy—though judging by Amazon's Dash page you'll still need to confirm payment and delivery schedule from a browser of some sort. ... "
See also the device site. An abstract, but the challenge is interesting. " ... Information searches based on expert-seeking technology can prove time-consuming or unsuccessful if search terms do not turn up extrinsic identifiers in profiles and saved documents. In many such cases, knowledge brokers function as "humans in the loop," providing intrinsic enterprise knowledge to mediate between information seekers and expert sources--a fact that future collaborative information-seeking system designs should take into account. .... " Similar to what the company Zakta has been attempting at the practical level for years. Covered in FlowinDdata: Review of another article where the point is that using Big Data bears some of the same challenges that were in evidence before data got 'Big'. So you cannot ignore those issues, some unsolved, that we had before. What is refreshing about BD is that you can attempt to solve problems that were not considered before, because data was unavailable, were not manipulable by hardware or software, or solutions were not as 'clean' as we thought were required. See original article by Tim Harford in Financial Times. Kimberly-Clark CMO on the TV driven past. " ... When it comes to digital marketing, marketers are like trapeze artists trying to grab the next bar without letting go of the last one, and the results could be embarrassing or dangerous as Kimberly-Clark Corp. Chief Marketing Officer Clive Sirkin sees it. ... Despite growing investment in digital marketing, marketers are still clinging to methods and models better suited to analog TV advertising, Mr. Sirkin said in an interview, previewing his keynote speech at the Advertising Age Digital Conference April 1. ... "
I am starting to examine Machine Learning Platforms for an application. This post is mostly for my own and a few collaborators use. Not complete or just open source. Do not claim to be expert in any of these methods, but have encountered them in a number of very differing machine learning contexts. In some cases used for building a system from the ground up, in other cases reviewing or extending existing modeling efforts. R is not included here, it is more of a programming language than a learning platform. All these are worth examining. Open to alternative ideas. Have always liked the idea of facilitating the process of telling stories to help people. And capturing stories that people already have to communicate. What is more enriching than the life stories of our friends and families. Have been loosely involved with Jeff Dyke's LifeScribe effort for s few years. He has gone public beta. Every life has meaning. LifeScribe helps friends and families gather and share meaningful memories of a life well lived. ... "
From Accidental Creative: I like the thoughts. Again showing up is a good first step. "Show your work, and when the right people show up, pay close attention to them, because they'll have a lot to show you." As part of my weekly reading regimen, I devoured Austin Kleon's new book Show Your Work. His books are like snack food for the creative mind. Once you start reading, it’s impossible to stop. ... "
On an internet of retail things. Precisely the kind of thing we researched. Could an item tell us where it was on the shelf? If it was in a cart or misplaced? Where was it manufactured or tested last? Who is responsible for it? All using RFID tags and sensors that would indicate an item's transition in space time and status. It's being done today, but most often at the pallet or case level.
" ... It’s a brave, new hyper-connected world… We now live in a “wiki” world where mass collaboration is not only possible—it’s often the best solution. Conventional management thought assumes that command-and-control is the most effective way to organize the efforts of large numbers of people, but rapid change and increasing complexity have rendered that model obsolete. As a result, most managers today lack the skills and knowledge needed to succeed in an age when networks are proving smarter and faster than hierarchies. Designing organizations for mass collaboration demands a new and very different model—wiki management.... "
Science fiction writer Isaac Asimov was a favorite of mine while growing up. He got a number of things right in his futuristic predictions, others wrong. A comparison of the two. Good thoughts. Telling the story beyond what actually happened. That's good, but how do you also allow interaction and ensure objectivity? And connect to analytic tools? My concern with a story is that it is by its nature, persuasive, but how can the hearer of the story be involved in using the message, and testing its accuracy? In process, being developed by young students. Free with registration. " .... We're a group of UC Berkeley students and we're launching the Pt.1of our handbook series! We interviewed a group of Data Analysts and Data Scientists on the various aspects of their employment. We've compiled the interviews in a handbook format for everyone to share. ... "
In TDWI: A good goal and a graphic that brings a number of important issues to mind. But does not emphasize the key issue: How does the Intelligence map with key business processes? Good points: " ... Managing big-picture BI is a challenge that demands clear relationships between business impact and information services. We must actively manage BI in three dimensions that drive business alignment: management, motivation, and measurement. ... "
Most of my career was delineated by brainstorming to do innovation in many contexts. This is an interesting anti brainstorming view. I agree that sticky voting was overplayed and sometimes it is just better to walk a woodland path or retail aisle and think. Then meet later and chat. An augmented reality game that uses physical maps. We examined an application that had similarities, well before the smartphone era. It explored and utilized blue prints and knowledge maps using an image scanning device. The aim was then to attach documents and other diagrams to places on the map. Was useful in particular before the blue prints had been universally digitized. Procter & Gamble opens its newest research facility, the Singapore Innovation Center at Biopolis. Housing 254 advanced research laboratories, the Center will be an international innovation center for P&G’s global hair care, skin care, fragrances, fabric care, home care and health and grooming products, combining the latest technologies with deep consumer insights to drive innovation for consumers across the world.